“DuckTales,” a new comedy adventure series based on the beloved classic, fit the bill with a one-hour television movie premiere (“Woo-oo!,” August 11, 12:00 a.m.) that is now Disney XD’s #1 original animated telecast in 17 months among Kids 2-11 (365,000/0.9 rating), and its #1 telecast overall in over 1 year among Boys 2-11 (257,000/1.3 rating) – since 3/30/16 and 4/13/16, respectively, in Live + 7 ratings. It was also the network’s most watched original telecast in 5 months in Total Viewers (740,000) and Adults 18-49 (244,000/0.2 rating) – since 3/25/17. Nearly 50% of all Kids 2-14 who viewed watched the premiere with an Adult 18-49. With its 24-hour premiere event, “DuckTales” reached 5.4 million Total Viewers – including 2.6 million Kids 2-14 and 2.0 million Adults 18-49 – and has generated an additional 600,000 views to date across Disney XD VOD and the Disney XD App. Social engagement was robust leading up to the premiere with “DuckTales” content generating over 10.2 million video views and 40 million impressions across Facebook, Twitter, Instagram and YouTube. This year, “DuckTales” and its “Woo-oo!” TV movie will be seen in 34 languages in 162 countries on Disney XD channels and Disney Channels worldwide, including its U.S. series launch on Saturday, September 23, with two new episodes (7:00 a.m., 1:45 p.m., 5:30 p.m., 7:30 p.m. EDT). “DuckTales” is executive-produced by Annie Award-nominee Matt Youngberg (“Ben 10: Omniverse”), with Francisco Angones (Disney XD’s Emmy Award-nominated “Wander Over Yonder”) serving as co-producer and story editor, and Sean Jimenez (Disney XD’s Annie Award-winning “Gravity Falls”) as art director. 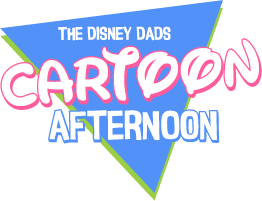 The series is a production of Disney Television Animation and carries a TV-Y7 parental guideline.